"Quaking Under the Terrifying Blast of Modern War"
French troops, after their spectacular drive near the Swiss frontier, have reached the Rhine and entered the famous fortress city of Belfort, Paris radio announced today. British troops east of Geilenkirchen have broken into the heart of the Siegfried Line, and American troops, moving forward under a thunderous barrage, are advancing east of Aachen and are fighting in the streets of Metz. British Second Army, fighting alongside the U.S. Ninth, have won a clear-cut victory in their hard battle to pierce the Siegfried defences. Terrific Allied fire-power has crocked the buttressed line, report correspondents, and wide gaps are being torn in the Ruhr defences. Guts and grit of Allied troops, and an unequaled avalanche of shells and mortar bombs crushed German opposition near Geilenkirchen. Germany is quaking under the terrifying blast of modern war waged with all the force and violence the Allied armies can muster, Reuters' correspondent said to-day. New pillboxes and road blocks built to support the old Siegfried defences have been smashed. More towns and villages ahead of Geilenkirchen have already fallen and, in the words of a Second Army spokesman, "We are pushing on in all sectors." The Germans have collected all the odds and ends they can muster in a bid to stop the Allied advance. After reinforcements had been thrown into the line, they succeeded in slowing down the progress in determined battles. There is nothing, however, to indicate that the offensive is losing momentum. 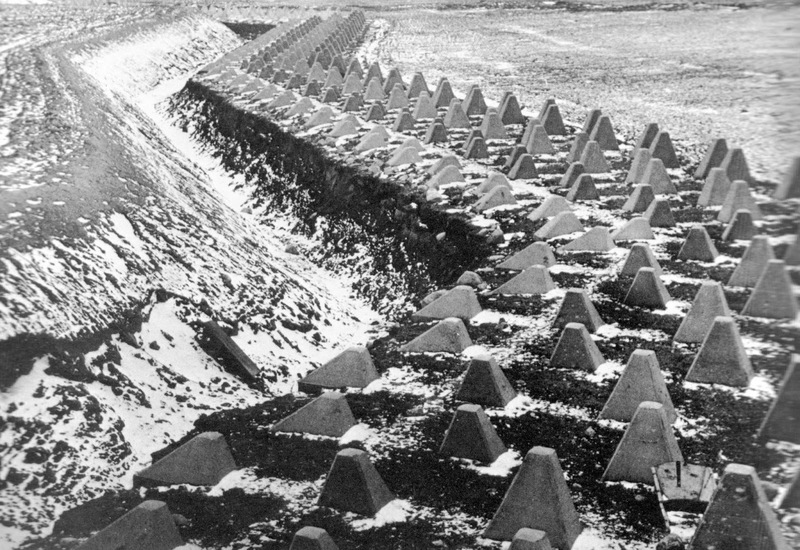 Although British troops have penetrated the first formidable Siegfried Line barrier, they must filter through the depth of these defences which probably run all the way to the Ruhr. "An entry into the Siegfried Line does not by any means push us beyond it," a British Army spokesman said. This morning Allied troops were pushing forward in heavy rain. At several points there was almost a complete absence of active enemy resistance, and signs of a slackening of the terrific fight waged by the Germans at the start of the present offensive. For example, not a shot was fired when General Hodges's troops sent patrols into one small town and other troops likewise reported little resistance. 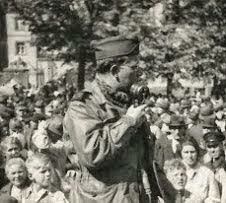 Bill Downs, Columbia commentator, broadcasting from Holland to-day, said: "Our commanders all up and down this part of the line are still talking about the perfection of the tough battle for Geilenkirchen which ended by the capture of the town yesterday by combined American and British troops working together in team never surpassed before in this war." In the Maas pocket, the front west of Venlo, seems to be "loosening-up" with the Germans fighting rearguard actions. Advances up to three miles were made yesterday. British troops drove across the Deurne Canal without opposition yesterday. There has been no heavy fighting for the last 48 hours, and the advances that have been made have been virtually unopposed. One spokesman said, "The troops just walked forward." Columns driving from Helden are now only five miles from Venlo and the German frontiers. A German radio commentator declared this afternoon, "The entire population of Western Germany is to-day locked in a hard and exacting defensive battle against the renewed onslaught of the enemy armies. "The whole German population is taking the deepest concern in these battles. The whole German transport system has been put at the disposal of this, the most heavily attacked front."